Would you drive less if it lowered your car insurance? When gasoline price go up, consumers tend to drive less. It just makes economic sense. But if your car insurance premium went down when you drove fewer miles, would you also drive less? Metromile, a car insurance start-up, is betting you would. When you apply for a traditional car insurance policy, you are asked to estimate how many miles a year you drive. If you happen to drive fewer miles than your estimate, your rate doesn't go down. That's not how it works at Metromile, a company dead set on disrupting the car insurance business the way Amazon has disrupted retail. According to Metromile, customers pay a base rate for insurance, then an additional charge for each mile. 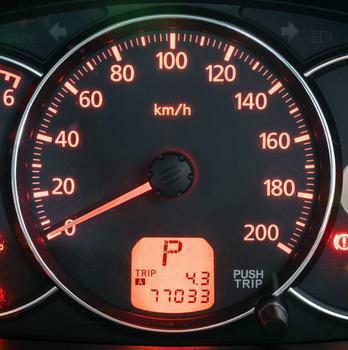 A tracker that plugs into the vehicle's diagnostic port tracks the mileage for Metromile. The company said it only tracks miles and does not look at speed or other driving behaviors. In a report last year, Metromile said it analyzed trips made by motorists who started a free test drive program and then later became pay-per-mile insurance customers. It found that, on average, these motorists drove 16.4 miles per day before paying by the mile. After switching, they drove on average 15.5 miles per day, 6% less. The company says paying for insurance by the mile completely changes the equation. Currently Metromile insurance is only available in seven states – California, Washington, Oregon, Illinois, Pennsylvania, New Jersey, and Virginia. However, the company said it is committed to expanding its product to other states. In a review, NerdWallet says Metromile's advantages are that it does not measure driving habits other than mileage and that motorists who don't drive that much can save hundreds of dollars a year. However, there is no savings for those who regularly drive more than 10,000 miles a year. Metromile says it provides other benefits besides reduced insurance costs. It says when motorists drive fewer miles, they are also less likely to have accidents. For individual drivers, putting fewer miles on their vehicles reduces wear and tear and slows the rate of depreciation. Should you raise your auto insurance deductible?